Vancouver, BC – It’s been eight long months but the wait is finally over! 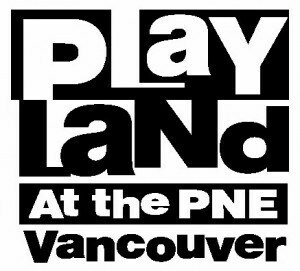 Playland at the PNE will open its gates for another season of rides, games and yummy treats on Saturday, May 3rd. Adding to its already stellar lineup of rides, attractions and non-stop fun for the whole family, Playland will debut its brand new attraction, Rock-N-Cars. Replacing the previous Bumper Cars ride that was first installed in 1966, Rock-N-Cars offers a fresh-take on the classic attraction. Guests will have the opportunity to get behind the wheel of a Formula 1 themed racecar or a speedy Spyder sports car and put their driving skills to the test. With the music blaring, adrenaline pumping and a protective rubber bumper, drivers will have a rockin’ good time as they bump into their friends and family from every angle! *Riders must be at least 42 inches tall to ride. Riders between 42 and 48 inches must be accompanied by an adult. In addition to the brand-new Rockin-N-Cars, Playland offers guests over 30 rides and attractions. Thrill-seekers will love the hair-raising rides including Atmosfear, Hellevator and the iconic 1958 Wooden Roller Coaster. More fun can be had at the Midway, the Climbing Wall, Pacific Adventure Golf and the Haunted Mansion. *Additional charges apply for the Haunted Mansion and Pacific Adventure Golf. Owned by the City of Vancouver, the Pacific National Exhibition (PNE) is a healthy and vibrant non-profit charity organization dedicated to providing over 3 million visitors a year with first-class cultural, sporting and family entertainment events. Founded in 1910, the PNE operates from a 114-acre site at Hastings Park, a multi-facility venue in Vancouver where the organization operates four activity streams: an annual 15-day Fair, Playland Amusement Park, maintenance and care of the Hastings Park site and management of the site’s year-round facilities. These facilities are utilized to celebrate a variety of hockey, amateur sporting, music, community, social, cultural and commercial events throughout the year.